See how Lucidchart can help you design processes to provision and troubleshoot all the technology your org needs. 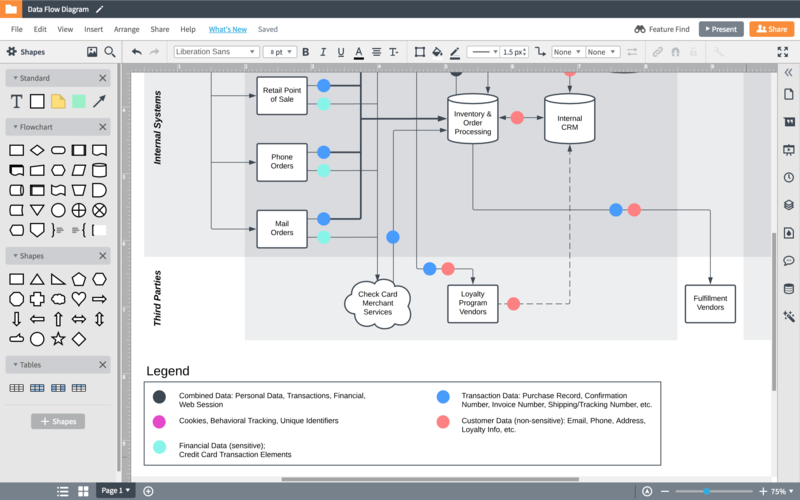 Clearly define your IT processes by mapping them out in Lucidchart. Help employees and new customers understand the processes for hardware provisioning, troubleshooting, and other activities to keep your team and organization as a whole running smoothly. Speed up the onboarding process by including visuals. 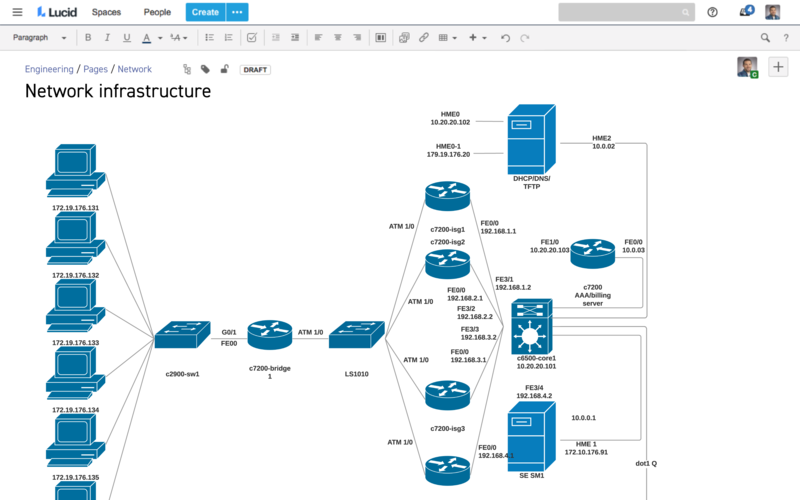 Create network diagrams to help new members of your team quickly come up to speed on your network and systems. 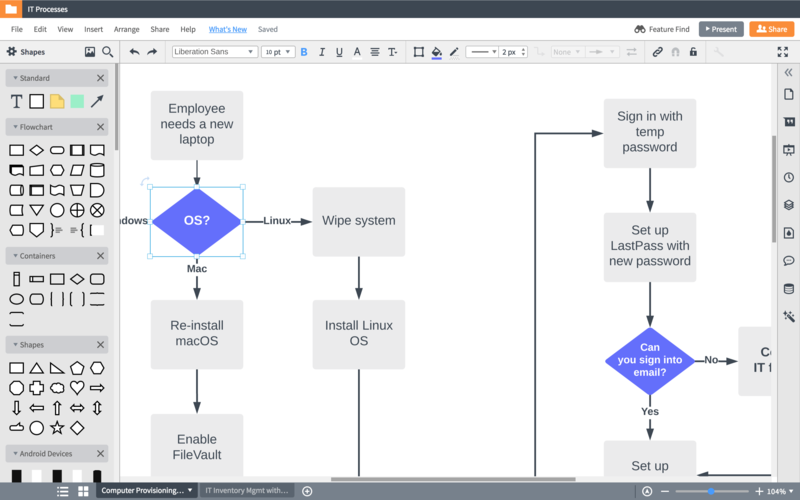 Visualize processes so new employees across the company understand how to set up hardware and software without having to bother your team. Visualize your office space to optimize your physical network and keep track of various technology. 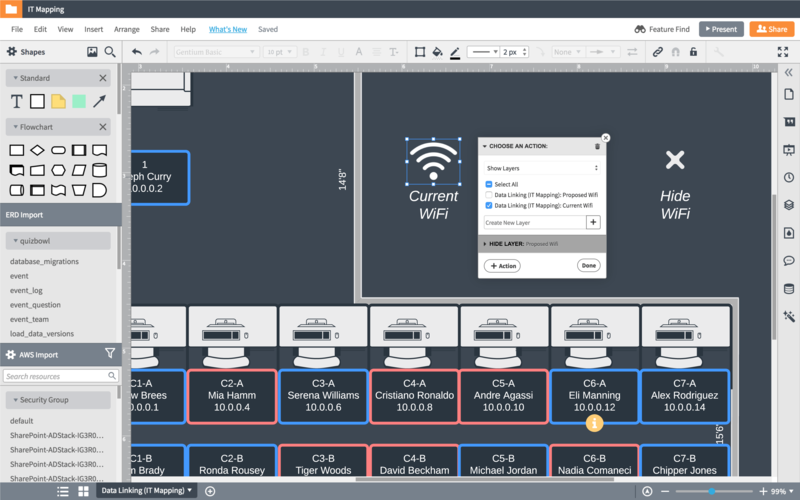 Lucidchart offers extensive shape libraries and intuitive functionality to help you quickly build out seating charts, show router locations, and manage inventory. Store important documentation, such as office floor plans and provisioning processes, in a single location for your IT team, employees, and customers. Thanks to our integrations, you can even include this information within a Confluence wiki or on other leading apps. Generally, processes exist in each person's mind in a different way. There are misunderstandings, but when you get everyone in the same room and you project it up on the screen and everyone's looking at it from a visual process or perspective, then you're able to have breakthroughs that you wouldn't have otherwise. Communicate with your team anytime, anywhere. Sign up for a free trial today.